Apple is set to open another international store in Hong Kong, with construction at Causeway Bay's Hysan Place mall well underway. Photo credit: AppleInsider reader Philip. 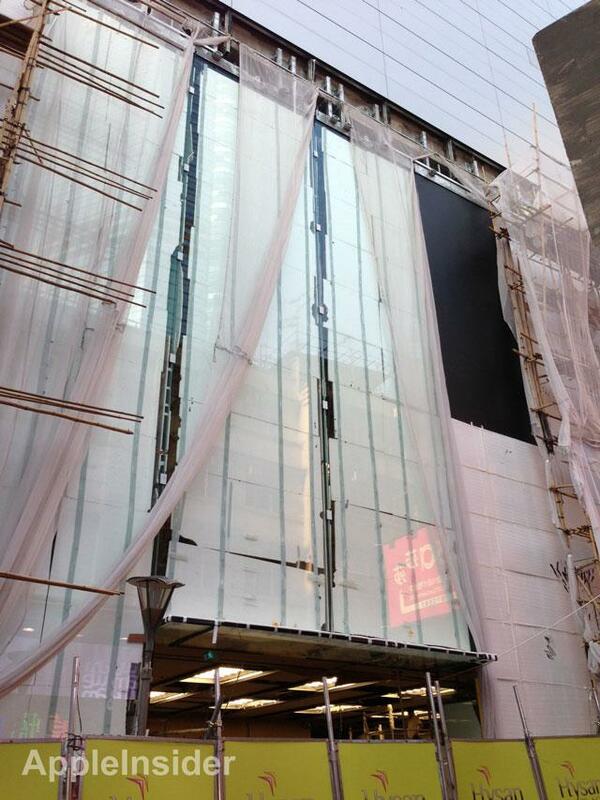 The giant glass front to the store at Hysan Place remains covered in a tarp as construction continues. The new mall opened in August with the exception of one major tenant: Apple. From inside the mall, it can be seen that the Apple Store will occupy at least two floors, AppleInsider reader Philip shared on Friday. But the large storefront suggests the retail space could also occupy at third floor that may not have an entrance to the inside of the mall. The first Hong Kong Apple Store just opened one year ago in the city's International Financial Center Mall. That store features Apple's iconic glass spiral staircase, as well as a view of Victoria Harbour, and was estimated to cost $20 million in construction. 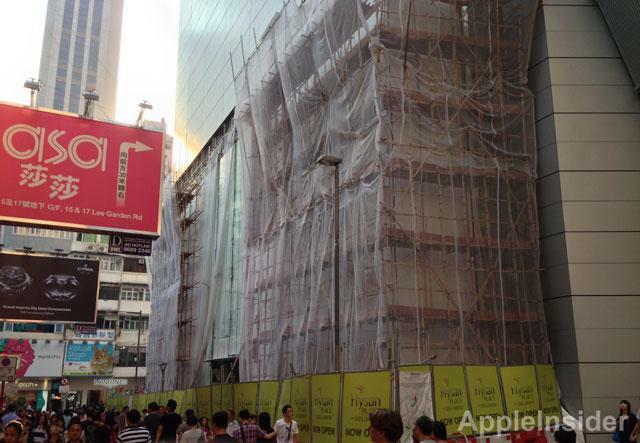 The new location at Hysan Place will actually be the third Apple Store to open in Hong Kong to date. Just last week, the company also opened its doors on a new location at Kowloon's Festival Walk. With 250 retail spaces in the U.S., Apple has turned its focus to expanding its brick-and-mortar presence internationally. As of the company's last quarter, there were 373 total Apple Stores around the world, earning an average quarterly revenue of $11.1 million per store. China, in particular, has been an area of focus for Apple as demand for the company's products has surged. In addition to the two existing stores in Hong Kong, Apple also has five locations in mainland China.